This Almond Apricot Italian Cake is just the slice of cake you need with your afternoon espresso, your late night green tea, and it makes the perfect dessert to big holiday meals. As you can see with my previous cake ways (like this Spiced Apple Pumpkin Snack Cake), I’m a fan of simple, none frosted cakes. Sure, I love a celebration cake as much as the next party goer, but on a day to day basis, unfrosted, simple cakes are my jam! 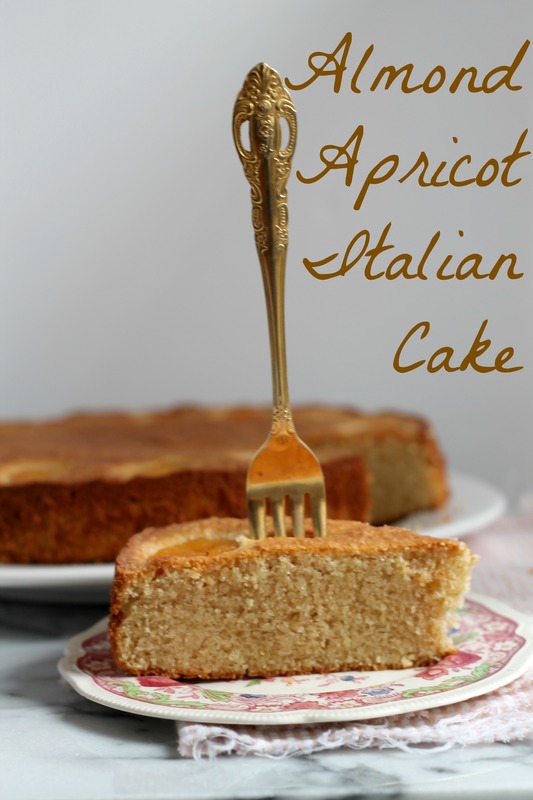 Heck, I even like to dollop a bit of jam on my cakes to add a hint of fruitiness to them, but typically, cakes like this Apricot Almond Italian Cake is what I love: flavorful, textural, and easy to whip up. Inspired by a Cook’s Illustrated recipe, this particular variation includes whole wheat pastry flour, which is light but adds a bump on the health benefits. In addition to the whole wheat, I’ve studded this cake with dried apricots – it makes the cake gorgeous and adds another textural element. But what makes this cake AMAZING is the addition of the Fiori di Sicilia extract from King Arthur Flour – a blend of citrus and vanilla notes that makes desserts taste like they are straight from Italy! Seriously, grab yourself a little bottle of this and you’ll thank me later. Now go and bake away friends, bake this cake and share with family and friends. I hope that you enjoy this delicious Italian cake! 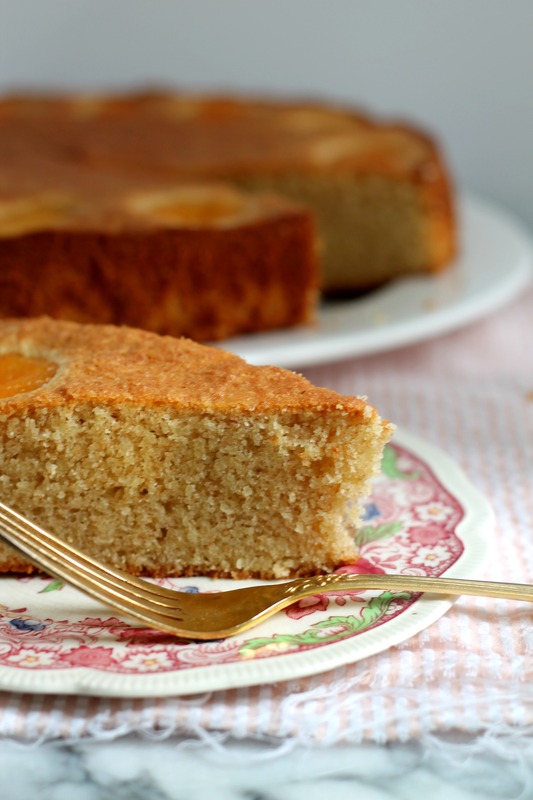 This simple Almond Apricot Cake is divine and a light dessert for the end of a big holiday meal. Preheat your oven to 350F. Butter a 9 inch round cake pan with soft butter or oil. In your mixer, cream butter and sugar together for 5 minutes, until light and fluffy. Add the dry ingredients and milk, as well as Fiori di Sicilia extract. Mix until incorporated - do NOT over mix. Pour batter into greased pan, stud the sides with apricots and bake for 45-50 minutes, until golden brown. Cool completely before serving. This turned out really well! So light and fluffy and moist even though I overcooked it. I used vanilla and orange extract as a substitute because I didn’t have the fiori di Sicilia. I skipped the apricots as well because I was out. Thanks! I was JUST thinking a dollop of raspberry jam would be great with this-can’t wait to try!